Hi, I’m Nina and I have a Peloton obsession. Oh wait, you already know that? Yes, I have a Peloton bike (read about it here and here) and I am completely and truly obsessed with it. So much so that I was actually a little bit bummed about being out of town as much as we were in July and away from my bike. The biggest benefit to me in having the Peloton is the easy access to a good workout anytime I want one. I literally walk down to my basement, take a great class and it makes it easy for a busy working mom like me to get a workout in to nearly every single day. I actually have become fairly dependent on it, so when we’ve been away, I found it a challenge to try another workout. 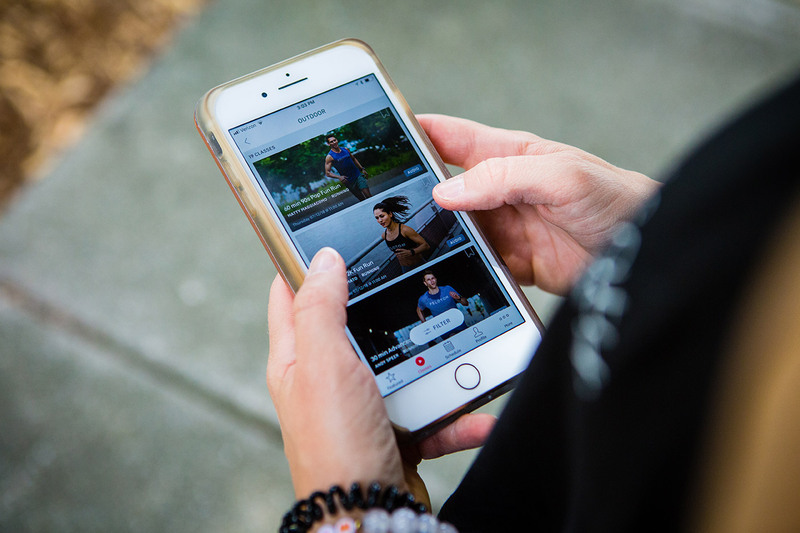 About the time we were heading out of town, Peloton made some changes to their services by launching Peloton Digital and really beefed up their app and content. The Peloton Tread (the treadmill) comes out in September and there are running and bootcamp classes that go along with it. Well right now, ALL of those classes are available in the app, along with outdoor walk/run workouts. I was really excited to get to try some new workouts when we were up north for the 4th of July. Clint and I went down to the fitness center at our clubhouse almost every day of the trip (where I was surprised to find that they had 2 Peloton bikes!) so I tried a couple of Tread workouts on a treadmill – and I LOVED them! I found the Tread instructors to be so motivating and I really enjoyed running and run/walking. Also at the gym, I did core workouts and stretching. I usually add those after my spin classes too, but it’s nice to be able to take them with you, try different weights and mix it up. I’ve also found that the some of the new classes that do strength training off the bike use heavier weights, which I have liked. Also, because the weather was beautiful up north, I also tried a beginner outdoor run workout along the lake and it was awesome. I couldn’t tell you the last time I ran outside and this was a great way to do it. I felt like I was running with a friend (who, thankfully, picked great music) and it made the time go by so fast. 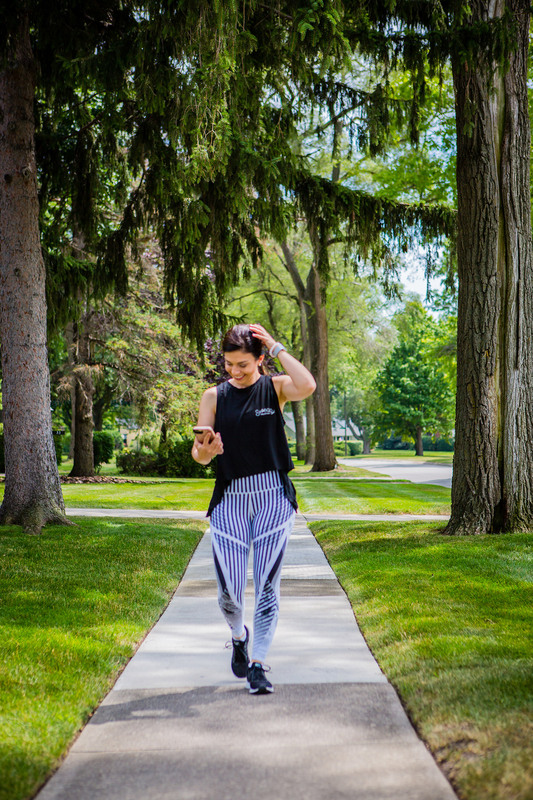 I can’t run a lot because I do have a nerve issue in one of my feet, but I feel like adding a few of these running or run/walk workouts here and there will be really beneficial to me from an overall health perspective. And I can’t wait to try a bootcamp workout when the kids are back in school and my schedule is a little more flexible. One of the biggest questions I’ve had about the bike itself is the price. Yes, it’s expensive, and we did the payment plan on it when we purchased it because that made the most sense for us. Now that our bike is paid off, it’s an easy $39 a month for both Clint and I to ride and do as many strength classes as we want. For us, the $39 also now includes ALL of the Tread, Bootcamp and Strength classes that are new to Peloton Digital. You don’t need the bike or the Tread, you can do any of the workouts at the gym, on the go or outside. And right now you can try the app for free here. 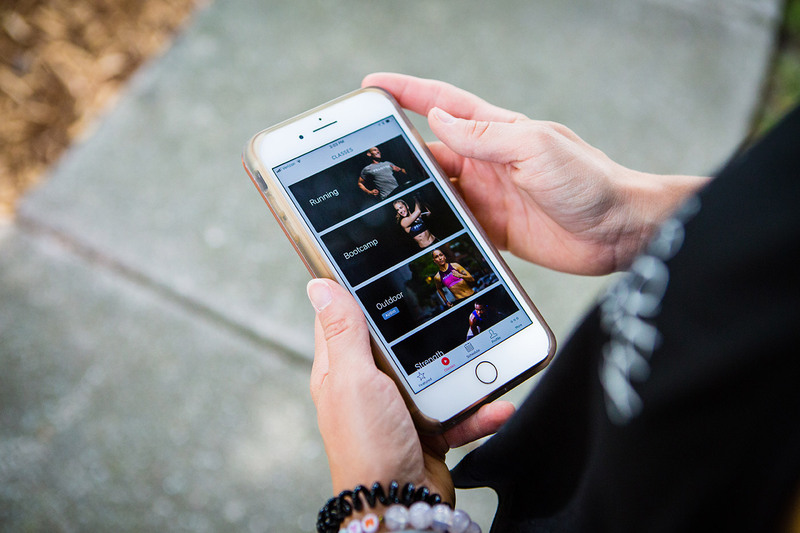 If you’re just using the Peloton Digital app without equipment it’s $19.49 per month, unlimited. Now, if you ARE wanting to buy the bike, this is my referral code: 3R3R9F. branded gearUsing that when you purchase will give you $100 off of your accessories and I’ll get $100 off at the boutique – and I’ll probably buy myself more like I’m wearing in this post. If you have any questions, please let me know! I could literally talk about this all day, it has been such a game changer to my health and fitness and my life that I want to share more! Also, this is 100% not sponsored, just my actual opinion and experience with the products.